Celebrating Ritchie's birthday today! April 14th! Thx Jim for the photos. Read more: Happy Birthday Ritchie! Ritchie Blackmore: Current Top Guitarist of the world poll– Ritchie is NUMBER 1! 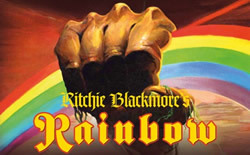 Congratulations to Ritchie Blackmore: Current Top Guitarist of the world poll– Ritchie is NUMBER 1! Classic Rock has some quotes from DC appearing in the April 2015 issue of the magazine (the one with In Rock on the cover, see above).